. إن الخدمات الممتازة وحسن الضيافة العالي في Mercure Broome Hotel تجعل إقامتك تجربة لا تنسى. يقدم هذا الفندق العديد من الخدمات الكفيلة بإرضاء أكثر الضيوف تطلباً. يمكن للنزلاء الاختيار من ضمن مجموعة من الغرف المصممة بعناية لتعكس جواً من الراحة، والتي يتجاوز عددها 130. يقدم الفندق مجموعة واسعة من وسائل الراحة المتنوعة، كمثل: مركز للياقة البدنية, حمام سباحة خارجي, ملعب تنس, حديقة, رياضات مائية (آلية). استمتع بخدمات لا يعلى عليها وعنوان ذو اعتبار في Mercure Broome Hotel . no water in fridge, no blanket (it was cold), asked to be moved downstairs because I had a lot of luggage, nope, but they did help with luggage. restaurant closed (someone sick). Rooms smell of cigarettes Staff on booking in told us to carry bags to back motel about 100m to room even though there was a walk through front. Need to lift there game on cleaness. 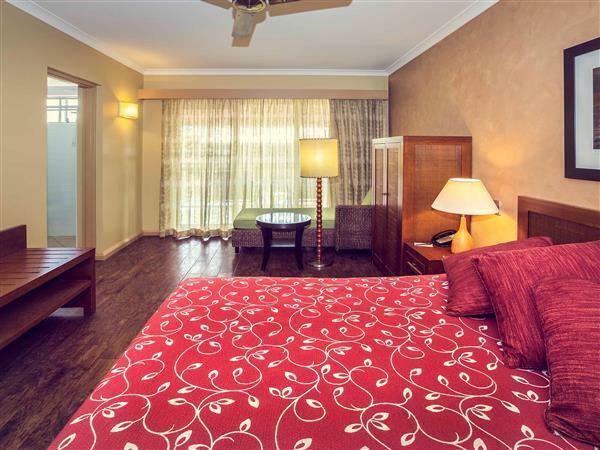 Comfortable accomodation with basic amenities. However hotel facilities were great with restaurants and pools onsite, together with hotel parking. Slight problems of room key card being very hard to use on door and in swiping it to open gate to get in and out with car. Had to tried many multiple times. Due to location, mosquitos are present as well so there should be more done to rooms in way of protection spraying etc. 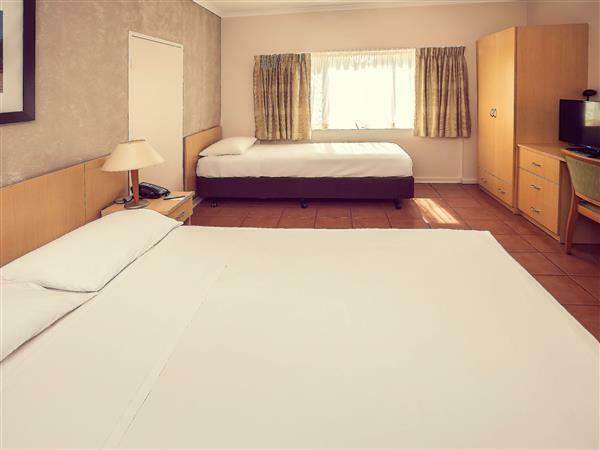 Other than that, convenient location with friendly staff and great facilities for the price. I booked 1 queens bed and 1 single bed, but I got 2 single beds..
Nice staff, close to everything. Some of the décor is a little old. But still nice to stay. 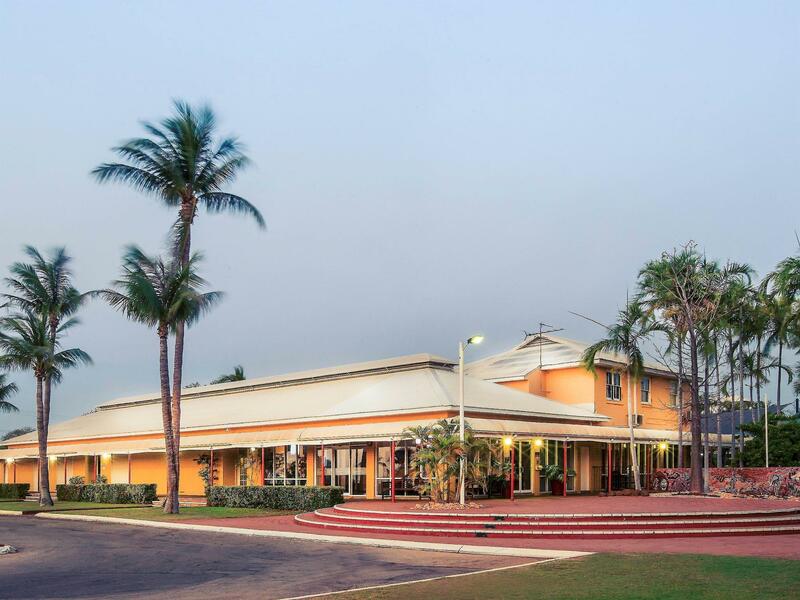 The Mercure Broome is a 15 minute flat walk from the Aiport. Good sized rooms, some with balconies, are comfortable. The hotel has its own restaurant and bar, with a pub next door. Across the road is the famous Matso's Brewery. Just 5 minutes walk to central Broome shops and cafes, 10 minutes walk to town beach. No complimentary drinking water was amazing given the high price paid. Comfortably adequate room. Bathroom could have been cleaner. Excellent pub next door for meals and trivia quiz. Good us service to shopping mall. 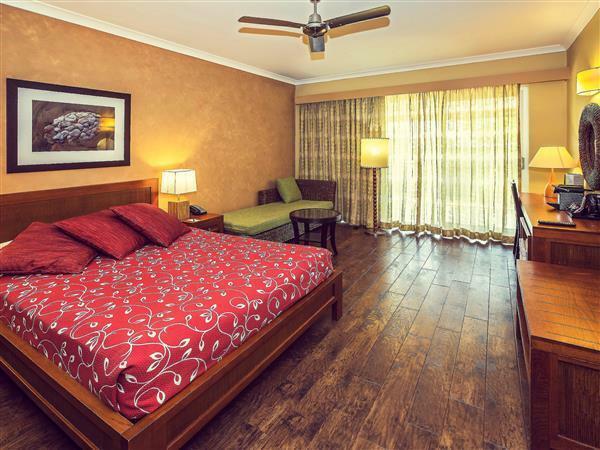 Friendly efficient staff, good location within easy walk to Broome town and beach. 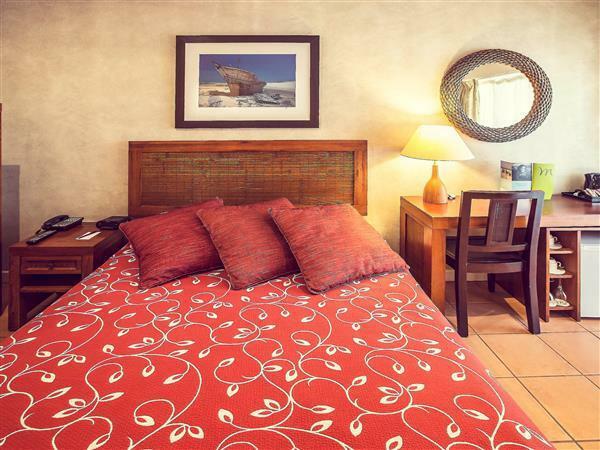 Large pool and good size rooms tastefully furnished. A little noisy due to style and location of our room in block 2. First four of nine day stay a bit of a nightmare. Two days room was not serviced. Other days dirty linen left in the room and balcony door left open all day. After interview with manager, given free breakfasts for rest of the week and head housekeeper took personal care of room, which was back to standard. Compensation for two days non-service sought because we booked and paid month in advance. Returned home on June 19 to find Mercure had also charged us again on credit card. Reception said it would take several days for reversal to take place, which is disappointing. Pools, balcony in rooms, convenient location. Loved the pool but disturbed by other guests on the walkway outside my room at 2.30am ( continued for an hour). Food was poor value for money. Shabby windows and curtains spoilt a nice room.